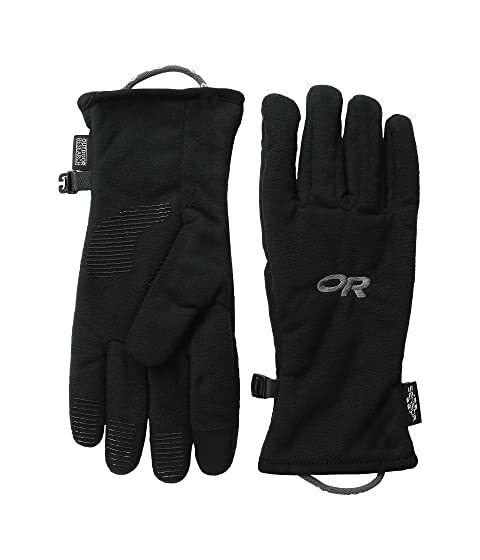 Keep your kiddos cozy in the cold with these Outdoor Research® Fuzzy Sensor Gloves™. Posh Pile™ fleece-lined gloves with a snug silhouette. Anti-slip silicone palm print for touchscreen compatibility. OR logo at back of hand. Tapered wrist with glove clip.